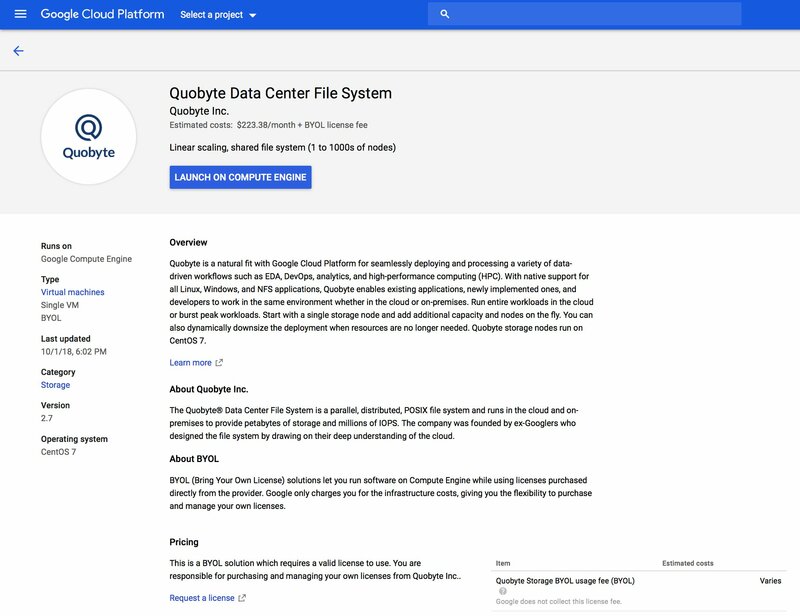 Quobyte software storage is now available in the Marketplace of the Google Cloud Platform (GCP). Quobyte’s hyperscaler-derived storage is the perfect choice for customers seeking to run scale-out production workloads such as EDA, HPC, AI, Machine Learning, etc. in the cloud. By running the exact same infrastructure on-prem or in the cloud, we make the transition between them seamless. Quobyte on GCP also delivers an ideal way to handle test and development needs quickly, and without impacting production schedules. We’re excited about this next step in our Google partnership, which gives customers “push-button” ease of deployment. Administrators can roll out a fully provisioned, high-performance cluster in minutes. Quobyte’s client-side software for Linux or Windows can be pushed out to VMs with minimal effort as well. Quobyte on GCP uses the bring-your-own-license (BYOL) model, whereby customers purchase their license key(s) directly from Quobyte and install them once the storage cluster is operational. The entire process takes less time than it took to read this paragraph. Customers can grow their Quobyte GCP cluster as demand dictates. Newly deployed storage nodes will automatically join the cluster and make their resources available within minutes. This process is completely transparent, and clients can immediately take advantage of the added space and performance. Quobyte has even eliminated the need to make manual DNS changes via our Quobyte Name Service (QNS). During cluster creation, each storage node’s IP address is added to an SRV record in QNS. If there are subsequent additions to the cluster, a service running in the cluster transparently updates QNS with the addresses of the new nodes. Installation of the Quobyte Linux client component is carried out using a simple installation script. Any requisite dependencies are automatically installed and the client will automatically mount all exported volumes to which they have rights. Quobyte is confident GCP customers will quickly discover many uses for this new platform. 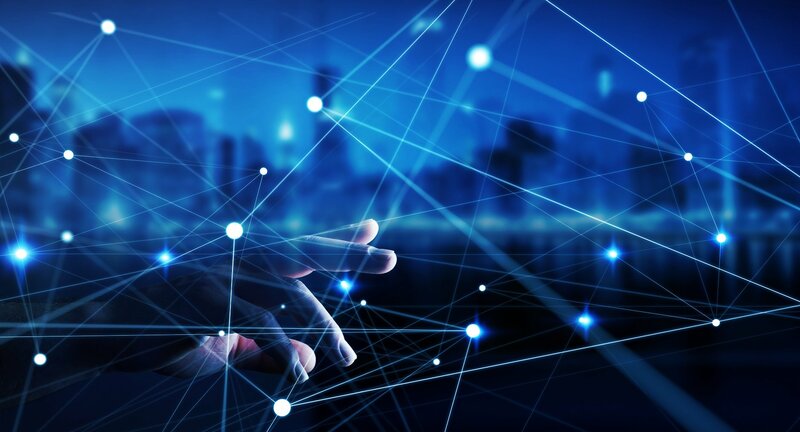 Because it combines the ease of use Quobyte is known for with Google Cloud’s flexibility and scalability, the results will be tangible improvements by nearly any metric worth measuring.